Summer is slowly enveloping us as warm air replaces the cool breeze. With that, it's timely now to lounge outdoors without actually going beyond our home's vicinity. To enjoy this, it's also quite imperative to have your own veranda, terrace, lanai, or porch. If you haven't got one yet, we'll exclusively fill you in on how to get one done so read on below and start taking notes. 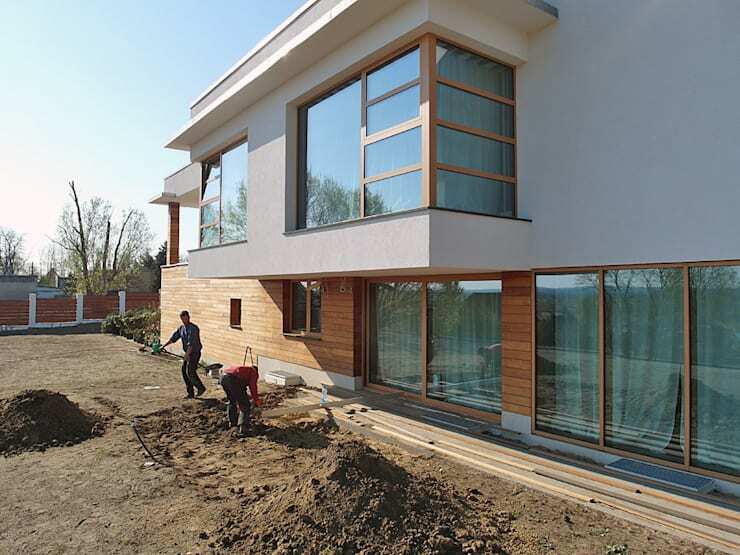 Before buying your materials, it's important to plan carefully where you will build your patio. 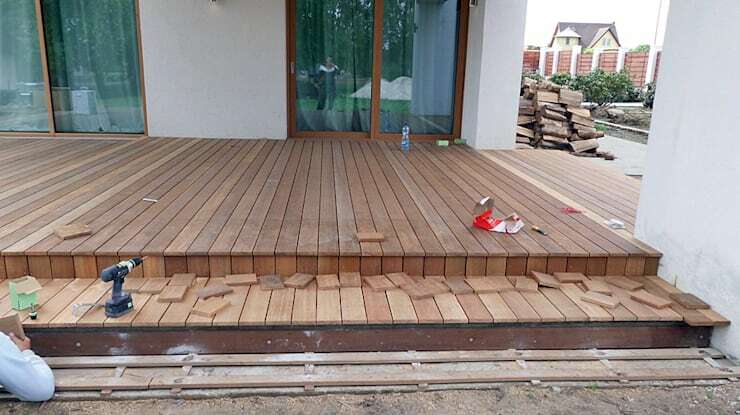 If it'll be located at the back of your house, assess the size of the area and determine the shape that you would want the patio to form. Once you have these, check which materials you will be needing. Be sure to take accurate measurements of the space you will be working on so that it becomes easier and less costly for you to purchase materials. Depending on what ground you're working with, you generally have to prepare it by digging. Others might have to resort to demolishing concrete by using a jackhammer and pry bar. 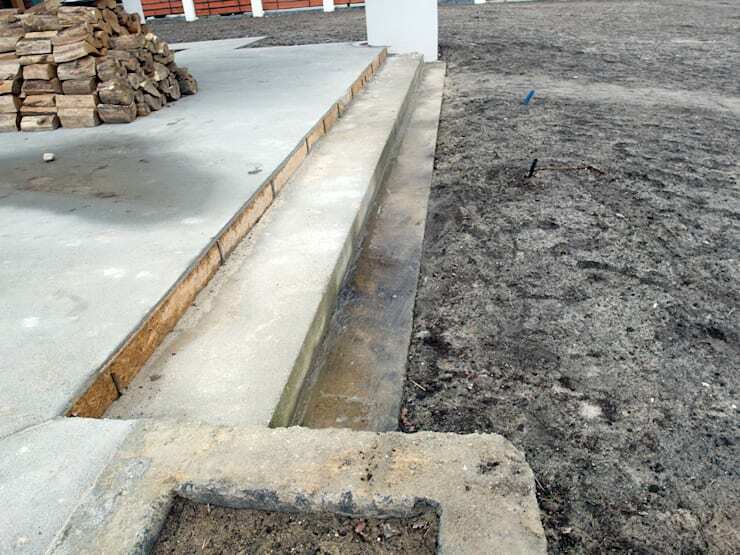 In any case, this stage requires creating an impermeable layer after the excavation. After creating the impermeable layer, form a mold with concrete. This would require the service of stone, paving and concrete experts. 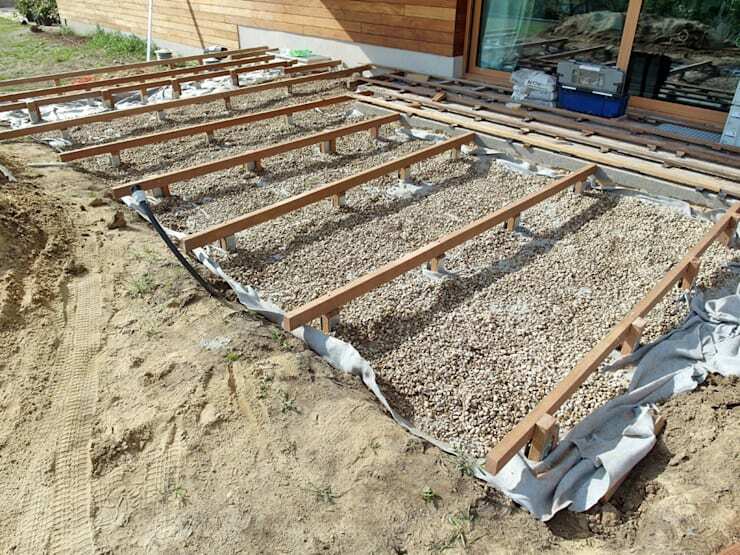 When that has been accomplished, pour a layer of gravel so that the floor would be strengthened and moisture from the soil would be isolated. With the mold and gravel in place, seek again the help of the concrete specialists so another layer of concrete would be poured over the said mold. When pouring concrete, take extra caution in doing so over your porch's steps. 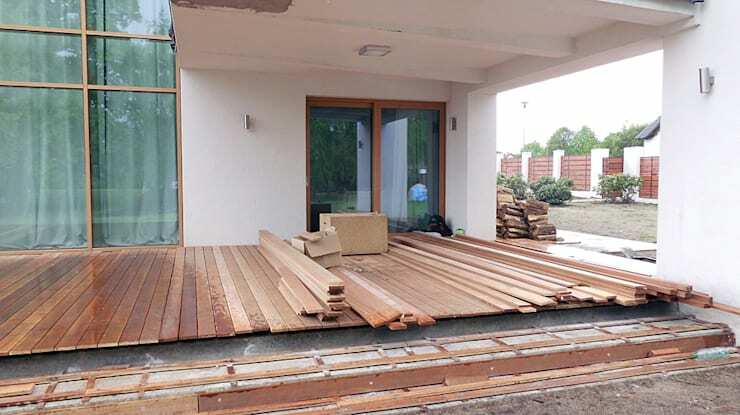 Since the owners chose a wooden floor for their project, a framework was constructed as a base for the floor panels. 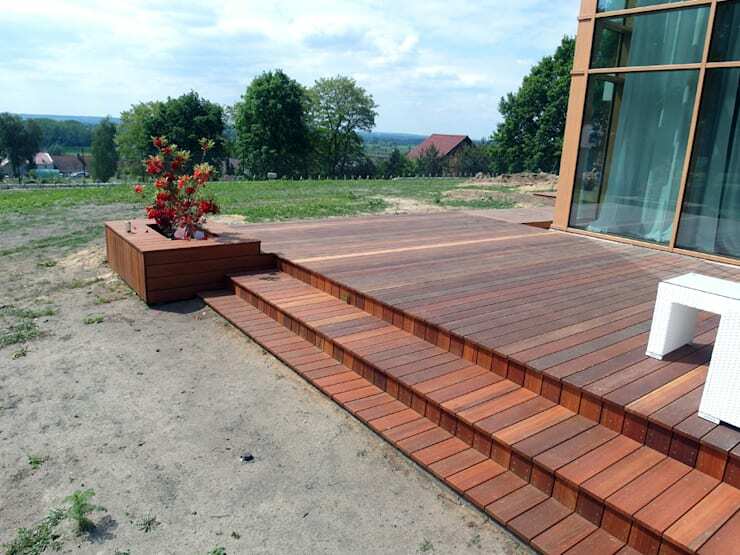 Once this was done, the rest of the panels were attached to compose the floor. 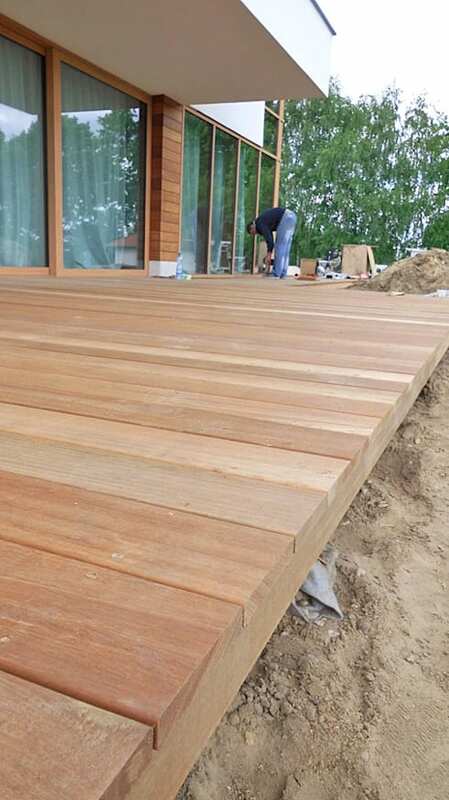 Some wooden planks, despite having been measured, may exceed their actual size and therefore appear uneven. To remedy this, use an electric saw to cut them. Similar sized floor planks always look good and classy especially after having been aligned and cut. 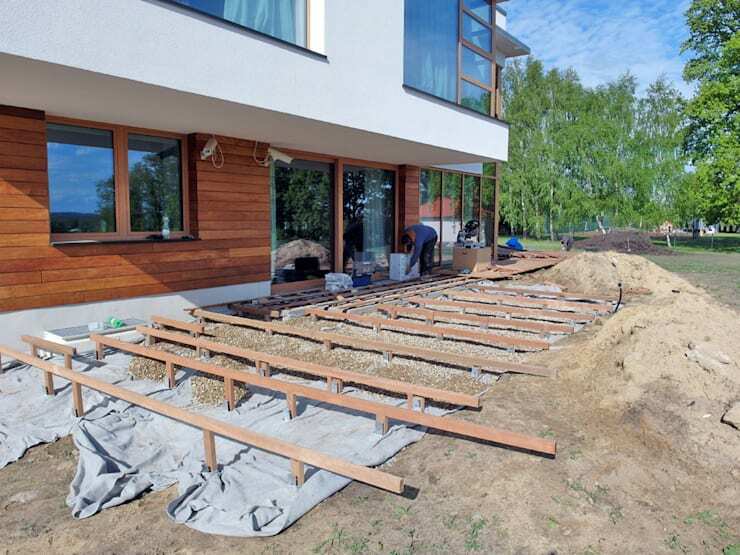 For the rest of space you chose to be part of the veranda, continue the process of laying concrete and building the said framework. 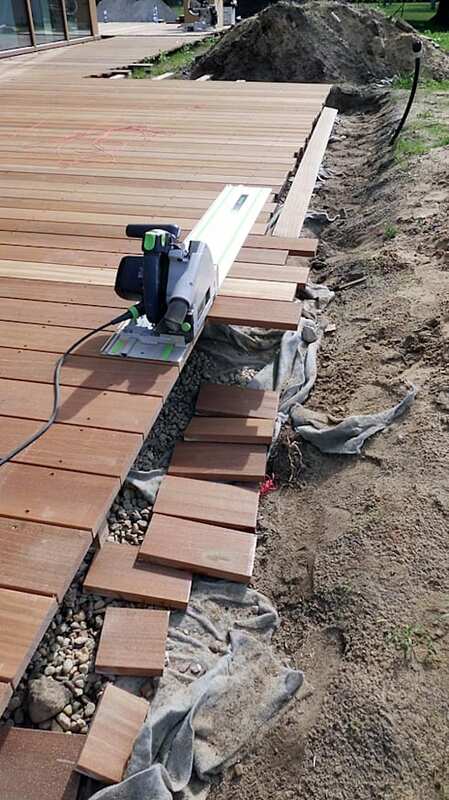 Again, carefully cut the excess chunks of wood. 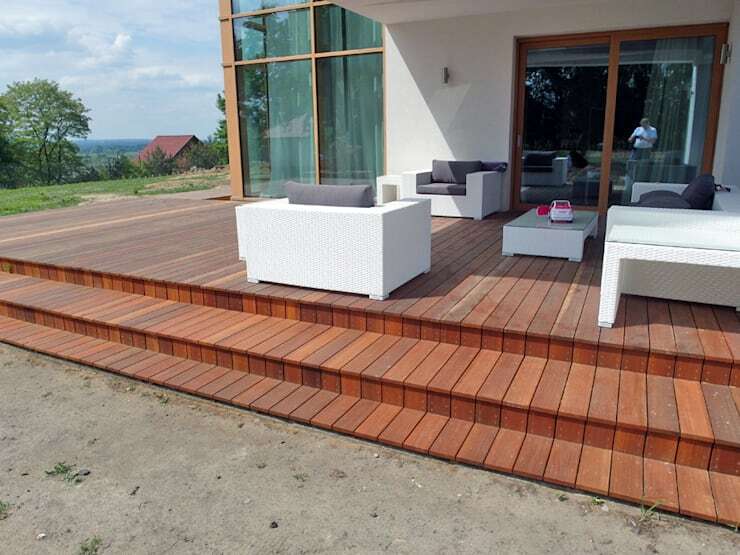 Mix up the pattern of your wooden floor by switching to vertical lines on one side from the horizontal of another. 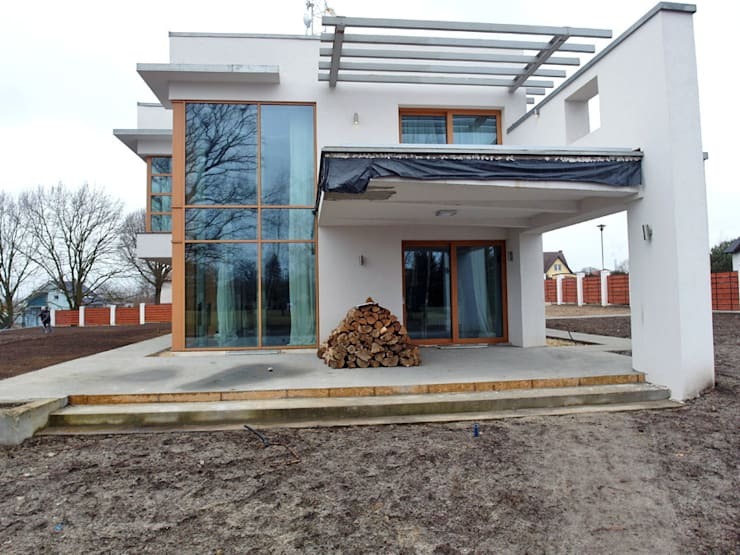 In order for the wood to become resilient through changing weather conditions, various insulating materials should be used. Check with professionals on how you can achieve this step properly. 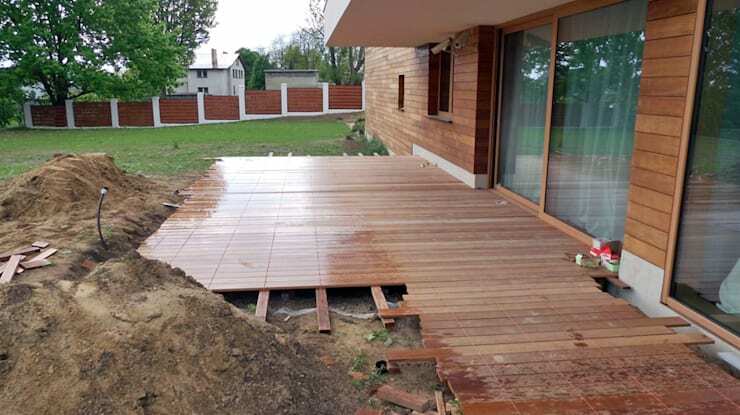 The corners of your porch can be transformed from bare to interesting by adding plant boxes on them made of the same wooden materials used on the floor of the said porch. 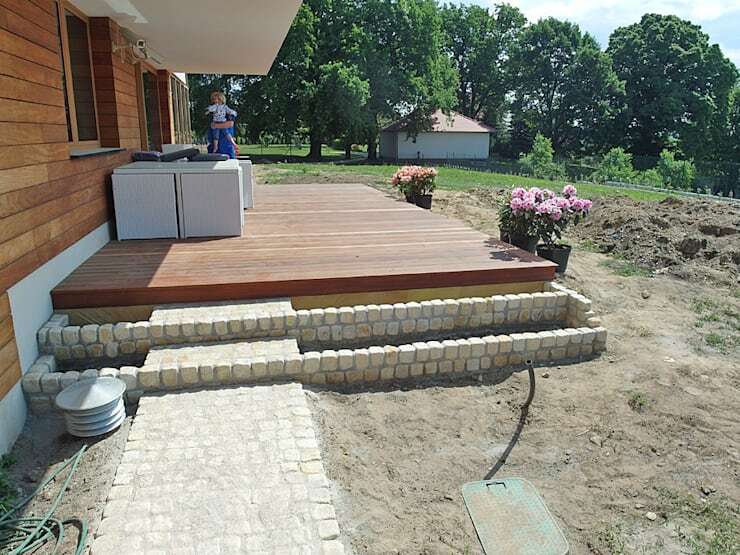 Other applications can be done like using stone to build a narrow plant box on the side of your veranda. This low stone wall can also guide your walkway like the one shown above. Finally, enjoy the summer season by placing comfortable seats flanked by other cozy furnishings. Check out how this couple remade their own front porch.